Find lots of information about products and recipes in our Newsletter from the Colormill! Simply use our Newsletter form to register or cancel our newsletter. 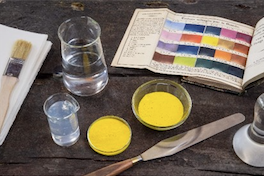 FAQ: Is it possible to tint wall paint with pigments? Here you can find a list of former Newsletters.